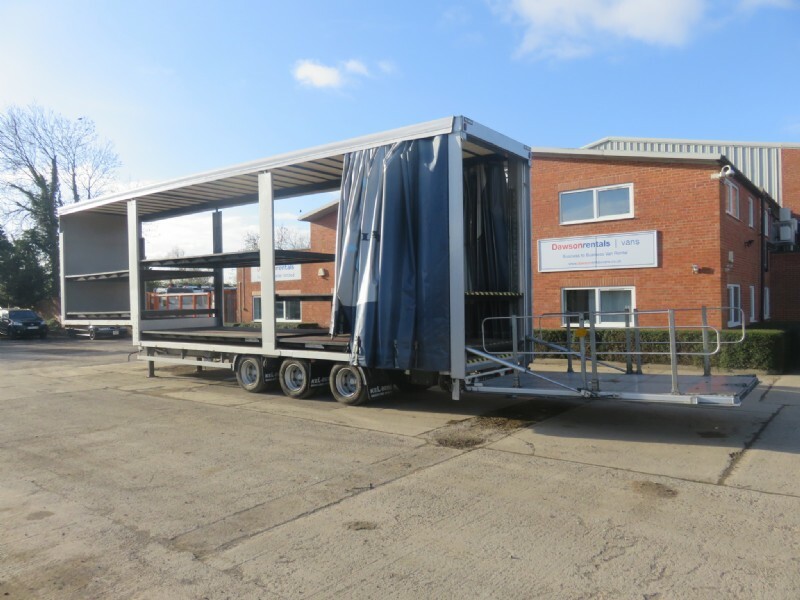 Step frame tri axle hydraulic moving deck trailer, complete with full height rear tail lift. The trailer has its own hydraulic power pack including battery station with trickle charge. The trailer is fitted with six fully dynamic hydraulic decks, which are movable in 50 mm increments. 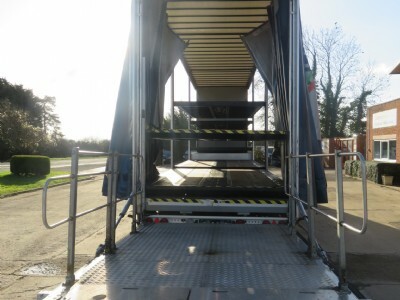 The decks are fitted with lashing rings and two tracks of load lok. The curtains are opened from either end. 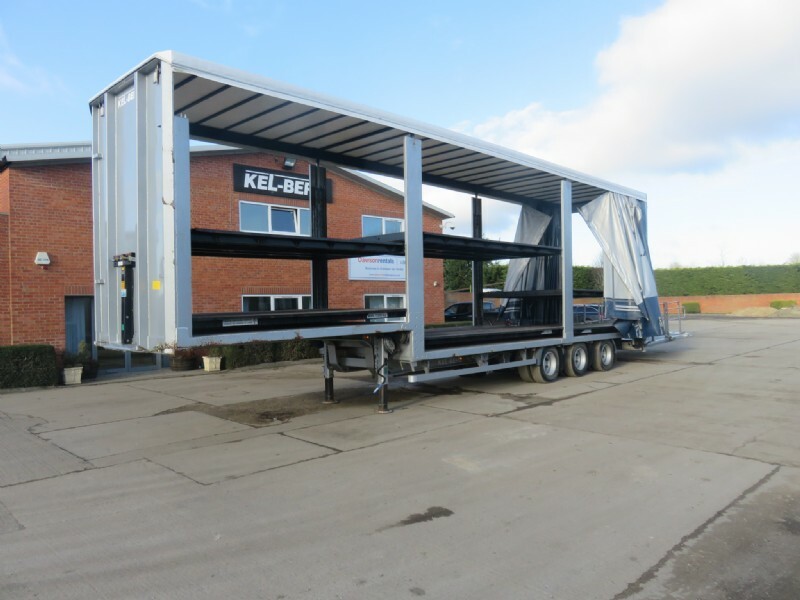 The full length I beam chassis and cross members are constructed from high tensile steels. 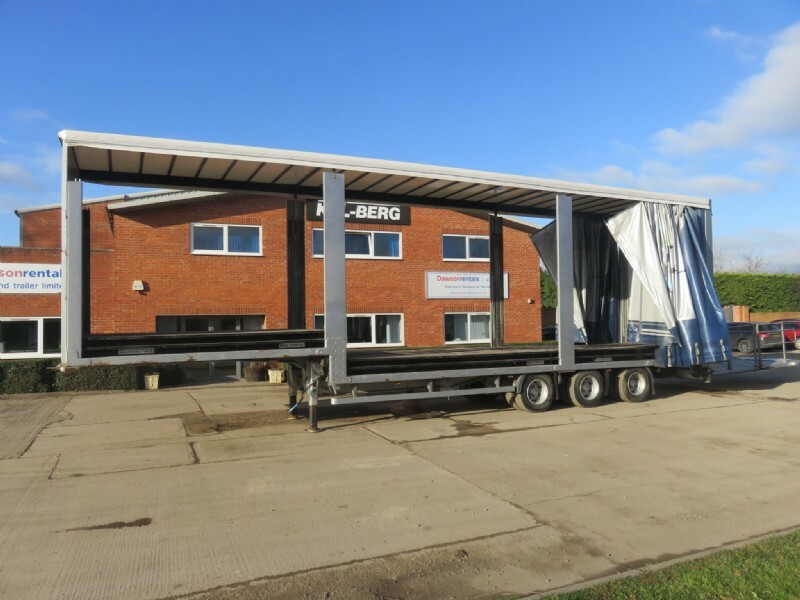 This total chassis system increase the torsional strength and flexibility whilst keeping the centre of gravity low and reducing the tare weight for increased productivity. Swing up anodised aluminium side guards are secured on galvanised bolt on stays, the retractable rear under run bar is finished in RAL 9010 white, both these items are easily changed if damage. BPW Airlight axles. 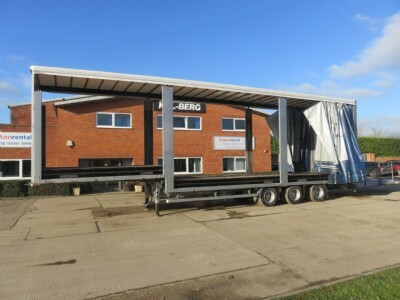 The square axle beam is optimally adapted to the total forces offers arising such as bending and torsional loads. It also has inherent low weight combined with extreme stability and the greatest reliability. The suspension systems are the relevant axle manufactures own, although each system has raise and lower valve with auto reset ride height & auto drop front lifting axle. A two line pressure system with standard C couplings mounted on the front of the chassis. KNORR-BREMSE 2S/2M EBS / ABS, incorporating RSP anti roll, load sensing valve, park & shunt buttons mounted on the side of the chassis. 24 Volt electrics are fitted with two 7 pin ISO and one ABS / EBS sockets fitted to front of trailer on galvanised brackets. Loom system housed in plastic tubing. Premium brand light system fitted. The trailer has its own hydraulic power pack including battery station with trickle charge. Low maintenance 2 speed legs with rocker feet, finished in black. The Kel-berg unique design of fully welded monocomb form construction combining strength and durability. 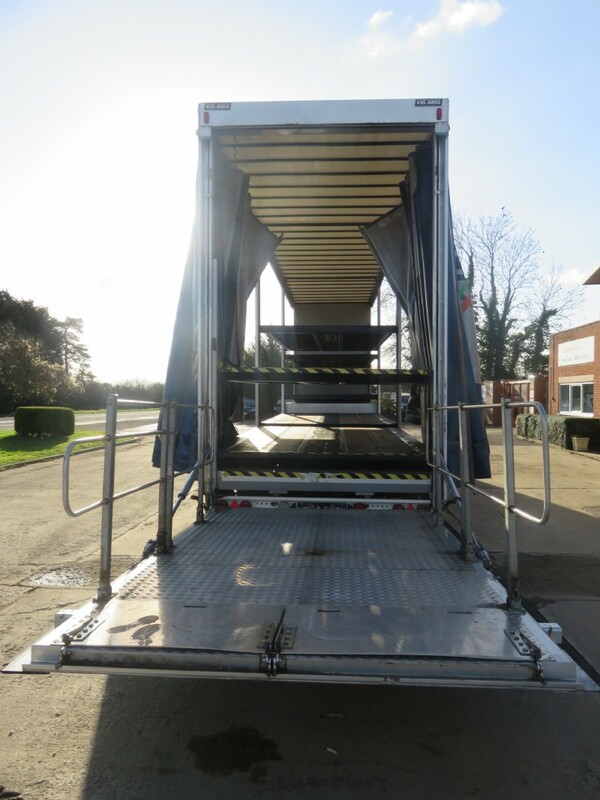 Chassis cross members are fully reinforced to support the side and corner posts which carry the load of the upper decks. The front headboard is heavy duty 3mm steel plate to include two heavy duty front corner and centre posts. Raising deck guides are integrated with the steel side and corner posts to support the internal decking system. 28mm selected hardwood floor is fitted and screwed to each cross member. galvanised steel Omega sections are fitted between each plank. 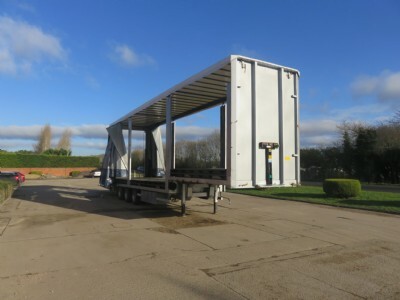 The trailer will come with the required conspicuity markings in accordance with our Whole vehicle type approval.